Occasionally several things come together from disparate places to form the “perfect” enquiry. Last week, a staff training session, a TV series, databases and a few books came together in exactly this way. Situated in a private garden, the maze was substantial, and set amongst the carefully tended grounds of a large house. The house, named “Beaulieu House” stood on an expansive triangular plot bordered by what are now Western Parade, Nightingale Road and Kent Road. With their interested sparked by the recent “A House in Time” BBC series, one attendee was heard to ponder aloud about the house, its inhabitants, and how it came to disappear. A-ha, I said! I can help with that! For the very same questions had jumped into my head when I’d noticed the maze on a previous visit to the Map Library, and I’d done a bit of digging to see what I could find out. And as it turns out, the story was quite an interesting one. Until the nineteenth century much of the area we now call Southsea comprised of small farms, open grassland and undrained marshland. There is mention of a dairy farm in the vicinity of the site, but little else other than an old inn reputed to have been used by smugglers, called the Cricketers Tavern. The name Beaulieu House first appears in the census of 1851, containing a household comprised Mrs Elizabeth Green, a Royal Navy widow of 60, who had enough money to be self-sufficient. Her brother, Major Ferris Charles Robb (of the Hon. East India Company) lived with her, and they listed a visitor, Miss Louisa Atterson on their census schedule. There were also four servants living at the house; footman Abraham Davis (24), cook Mary Ann Leavins (31), housemaid Ellen Dent (24, and from Germany), and under-housemaid Sarah Flek (29). 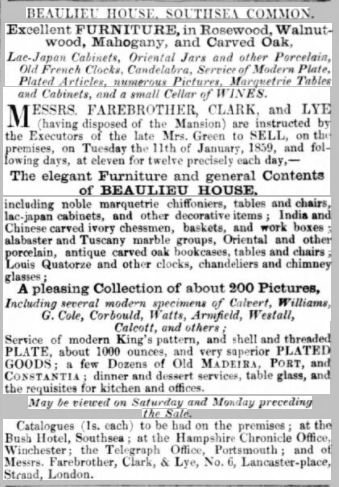 Mrs Green’s husband, Captain James Green had left her a wealthy woman, and it’s possible to glean some idea of her lifestyle from the sale of goods which took place after her death at Beaulieu House on 13 November 1858. 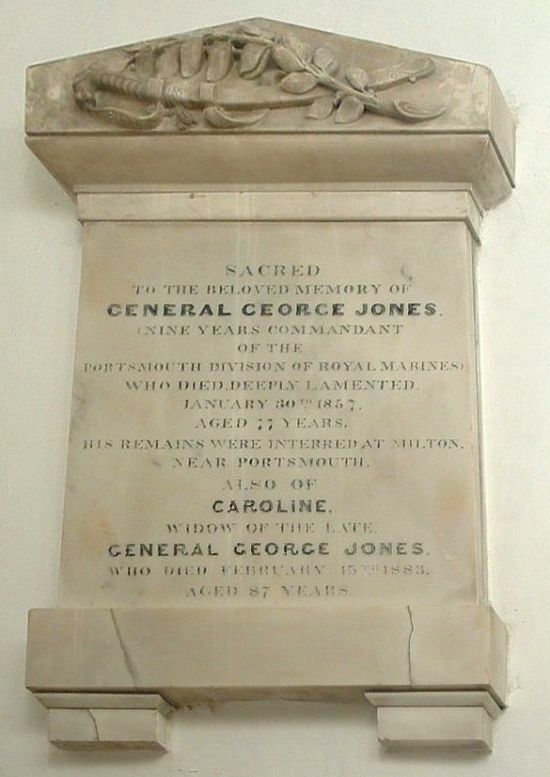 In 1859, another widow took over the house; Mrs Caroline Jones (nee Arnaud), whose late husband General George Jones had for nine years been the Commandant of the Portsmouth Division of the Royal Marines. He had died on 30 January 1857, aged 77 years. The couple had been living at Woodside, a large house in Queens Crescent, Southsea before she made her move to Beaulieu House in 1859. Caroline and George had married on 21 June 1838 at St Thomas’ in Old Portsmouth and were childless, but they had loyal servants, and her household over the decades reflected this. In all three census’ that list Caroline at Beaulieu House, she is shown alongside her faithful coachman John Boyd, who was born in County Antrim, Ireland. He had previously worked for the couple at Woodside as early as 1851. 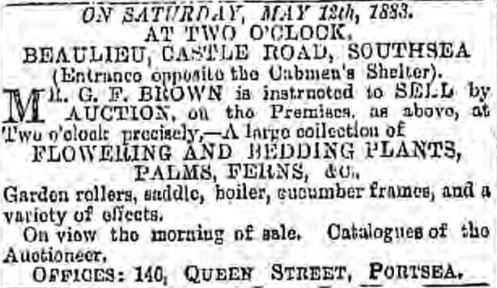 Her footman Thomas Ninnim is present on the 1861 and 1871 schedules, but died at the age of 40 in 1877. A changing variety of cooks and housemaids come and go, but John Boyd remained a constant. He was married, and had three children. His wife and children spent many years at 15 Ashby Place (just off Osborne Road) before moving to Langford Lodge in Nightingale Road. This lodge was on the property of Beaulieu House, and it remained occupied by John and his wife Sarah after Caroline had died, remaining standing amongst the development that was to come. In fact, a stroll along Nightingale Road today reveals three modern townhouses standing in the place where this Lodge once was, an unnatural gap in the tall terraces which were erected in the late 1880’s. Photograph showing the Cricketers Tavern and the first buildings on Western Parade. Beaulieu House stood just to the left of this scene. But what of the house itself? The gardens may have disappeared underneath terraces of tall Victorian townhouses, but the house had an entirely different fate in store. Purchased by Joseph Lush, a local businessman, Beaulieu House was to become his residence. With the land it stood on being so valuable, however, Joseph decided that although he liked the house, it would make better business sense to sell off the land it sat on. So that’s exactly what he did. And to get around the problem of the house being *on* the land, he simply moved it! Yes, you read that right. He moved the house. It was taken apart brick by brick, and rebuilt on a new, more socially prestigious plot in the newly formed Craneswater Avenue. 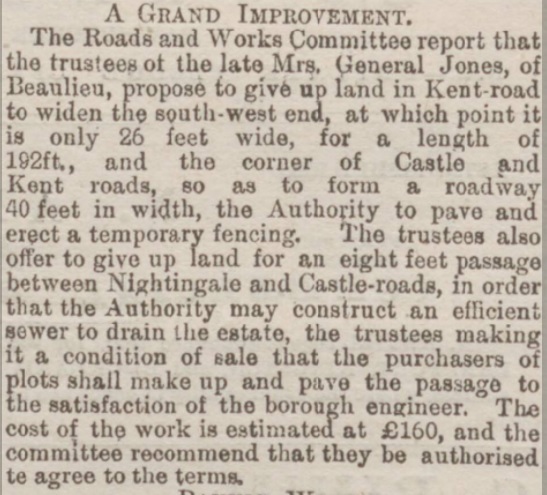 Accounts of this amazing feat of engineering were written up in the local press, giving us an insight into the process, and informing us that Joseph employed the most well-known builders and architects in the area at the time to do it. 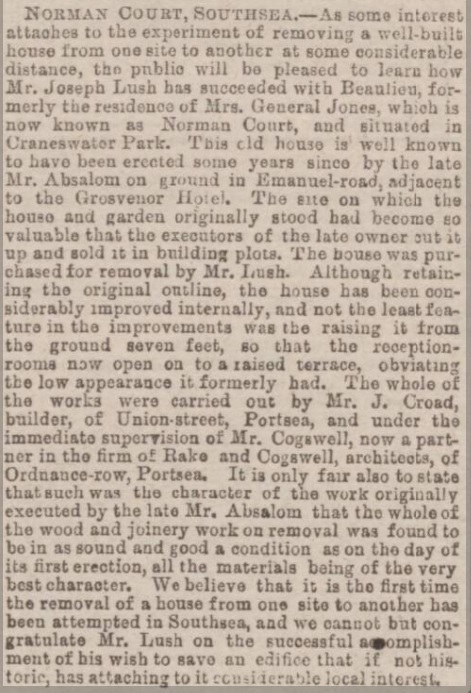 Article reporting on the moving of the house, Portsmouth Evening News, 30 January 1886. 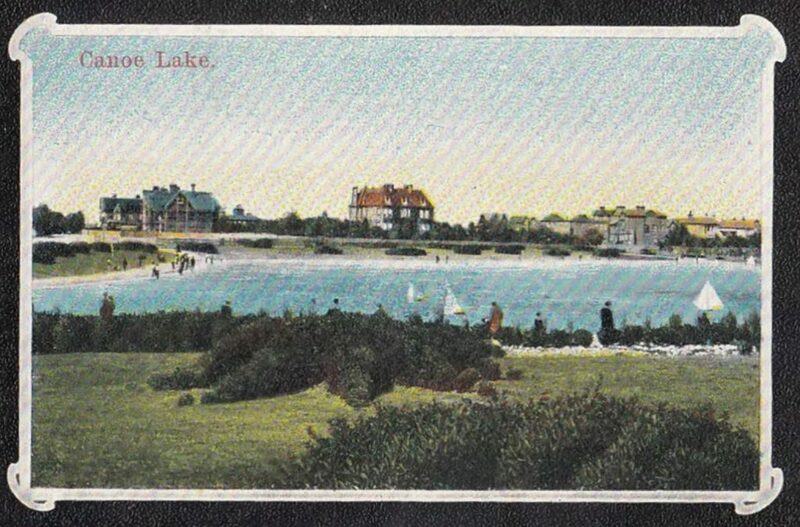 An early postcard of Canoe Lake, showing the building of houses in Craneswater. Rebuilt, the house was also renamed. Norman Court, as it was henceforth known, stood proudly in prime position near Canoe Lake for the next 80 years, at first inhabited by the Lush family, then, by the time of the 1911 census, by Sir Alfred Collingwood Hughes, a baronet. At the time of the 1939 Register being taken, Charles and Maude Dye, a retired building contractor and his wife were living in the house, with neighbours who were solicitors, company executives and physicians. Although Norman Court survived the wartime bombing that did so much damage across the city, it eventually succumbed to the wrecking ball as so many of the large houses in the Craneswater area did. As demand for large houses fell, those buildings which could not easily be converted into flats became once again valued in terms of the land on which they stood, and in the 1960’s, Norman Court was replaced with a block of flats which retains the name. Today there is no sign of the house that once stood on either site, and alas there seem to be very few photographic images of it. Great piece of historical research and, at least for me very useful. I am currently looking at the history of Navarino House across the Solent in Ryde, which we bought in 2014. 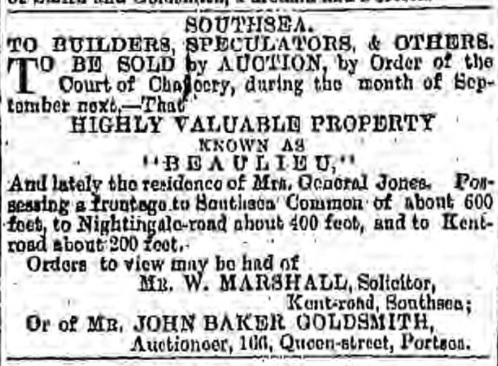 Joseph Lush’s father (also called Joseph) bought the lease for Navarino (and a neighbouring property, Pelham Lodge) in the mid 1830s as an investment. It was not until the 1880s that Joseph Lush (jun) and the family of his son (Hubert Stanley) moved into Navarino. They eventually sold the house around 1908. Your article was fantastic as I once lived at one of the three 1970s town houses on the site of the cricketers tavern. The map is brilliant but do you know the where a fully version can be found. The reason for this is that I now own another property nearby which is the second one in on the row of three what is now, marked on the map as Marine terrace now Southsea terrace. The Address of the property up until 2006 was 55 Southsea terrace, the rear of the property (which I own) was split from 55 in 2006 becoming 2 regent place. I am trying to find out the original age of the property and occupants, as I have been informed that someone famous used to live there. Thank you in advance for any information/detail you can supply. wow what a brilliant piece of detective work Paula!